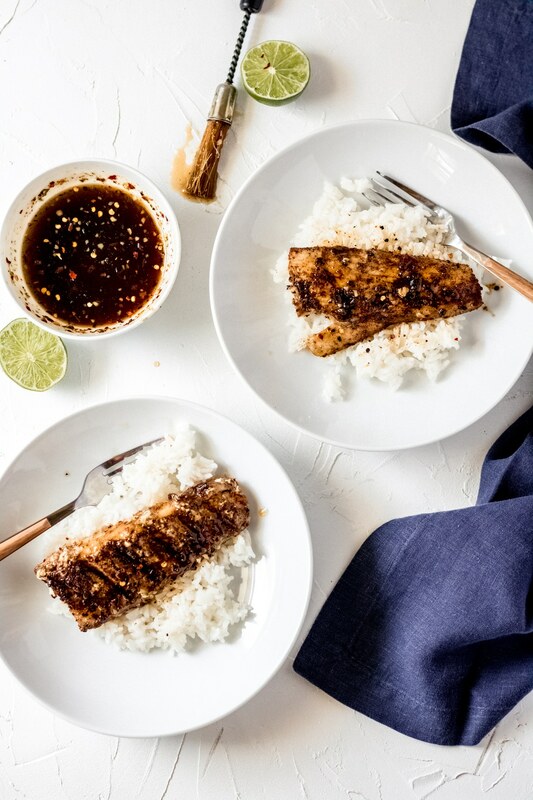 Fire up the grill with this easy Honey Lime Mahi Mahi recipe – they’re gluten-free and grill in under ten minutes. 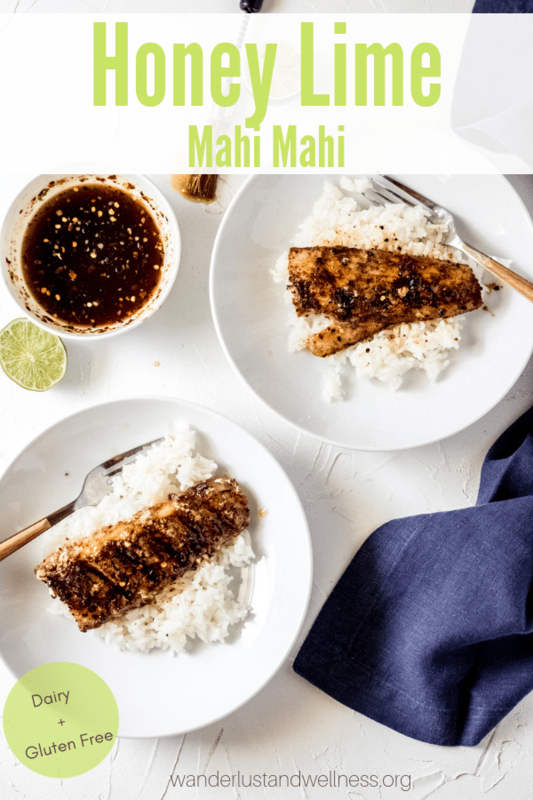 Mahi Mahi is such a versatile fish – just look at all of our Mahi Mahi recipes and you’ll see how many different gluten-free recipes you can make with this simple fish! 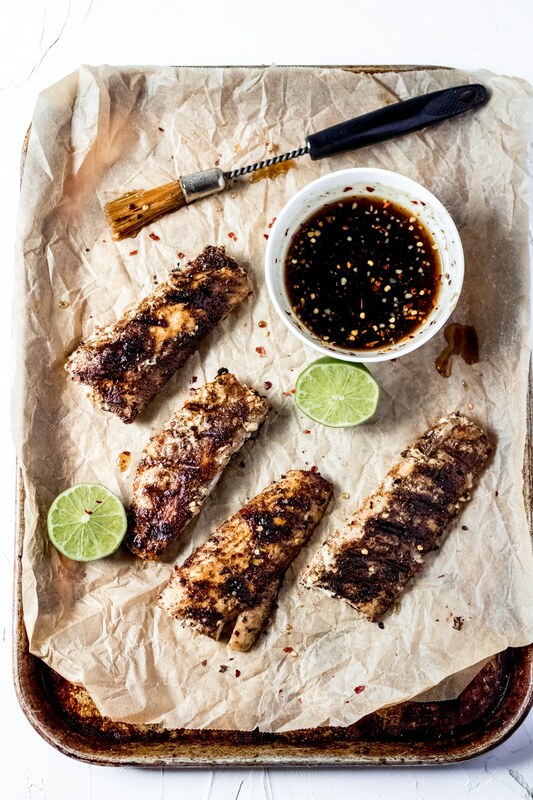 The honey lime glaze pairs nicely with the spice rub in this recipe – it’s sticky, sweet, and just a tad hint of heat. Such a great summertime gluten-free dinner idea! Summer grill season is here – okay, well almost here – which means it’s time to fire up the grill and make some delicious gluten-free dinners! Move over boring hamburgers and brats, it’s time for some FLAVOR! 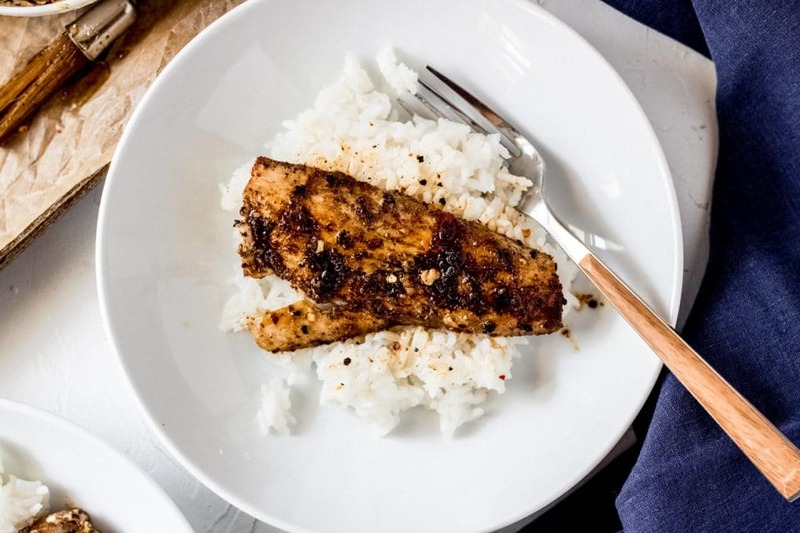 Outside of blackening Mahi Mahi, there are some great ways to pan-sear or grill the fillets and then enhance with delicious seasoning varieties and glazes. 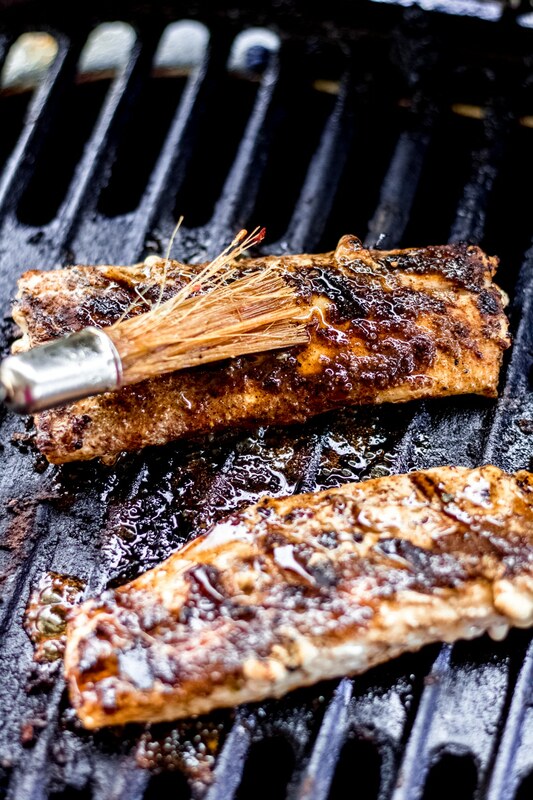 The honey lime glaze for this recipe pairs nicely with the char from the grill + the seasoning mixture. It definitely has a summertime feel! 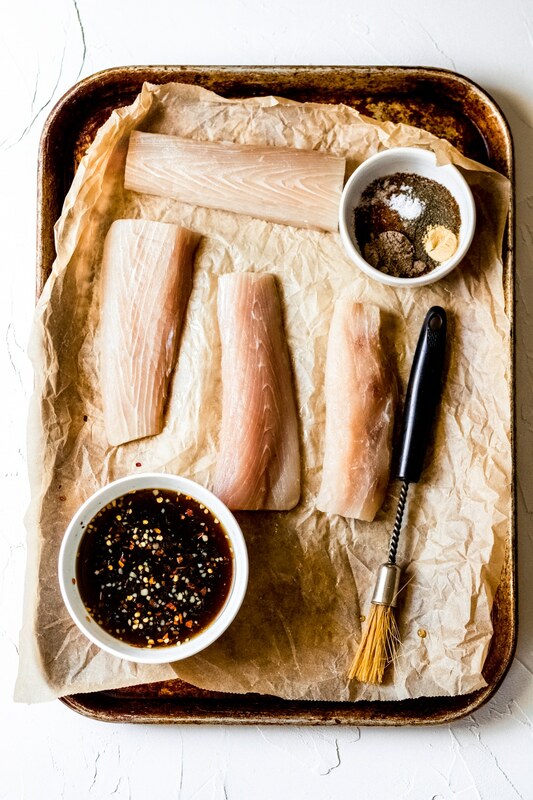 Fully thaw the Mahi Mahi fillets (if frozen) and arrange on a sheet of parchment paper. 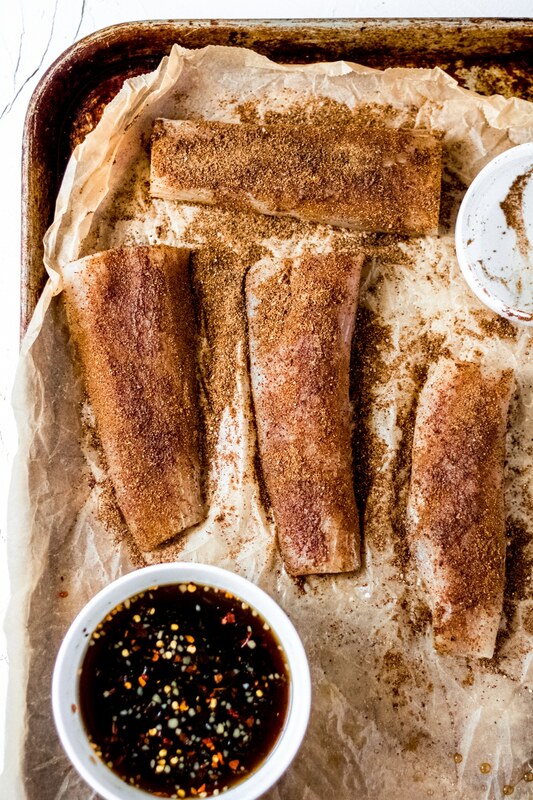 Mix together the spice rub ingredients: chili powder, salt, pepper, and cardamom – then generously rub onto both sides of the fillets. Combine the glaze ingredients: liquid aminos, honey, lime juice, lime zest, and red pepper flakes and whisk to combine. Heat a grill over medium heat – then add the fillets and grill for about four minutes on one side, then flip and grill for another four minutes. When the Mahi Mahi fillets are near done (about the 3 minute mark on the second side) brush the glaze over the tops of each fillet. When the fillets flake easily with a fork and reach an internal temperature of at least 137 degrees, remove from grill and place onto a clean baking sheet. Serve with your favorite summer vegetable or over a bed of rice. Add additional glaze if desired. At what temperature is Mahi Mahi considered done? Ideal internal temperature for Mahi Mahi is at least 137 degrees F. Use an instant-read thermometer and place it into the thickest part of the fillet. 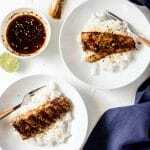 What type of fish is Mahi Mahi? Mahi Mahi is the Hawaiian name for the species Coryphaena Hippurus – also known as the dolphin fish. However, this is not the same as the bottlenose dolphine mammal. 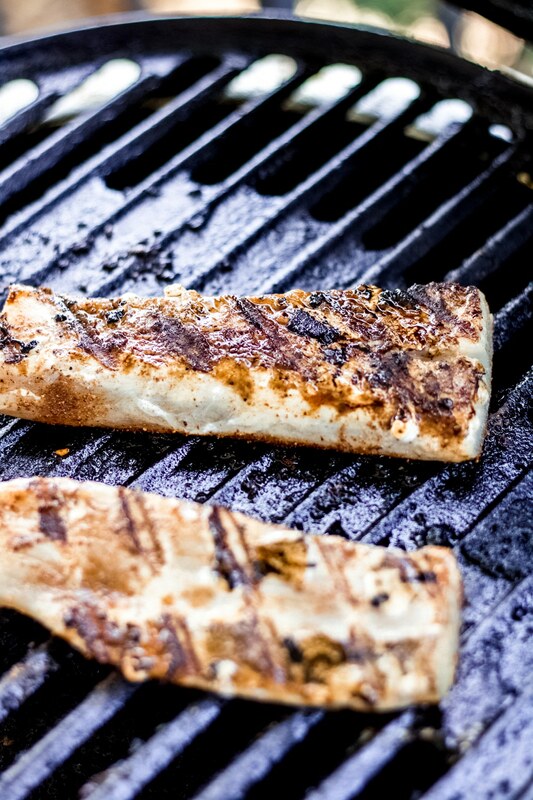 Should I grill Mahi Mahi frozen? Ideally, no, you should thaw the Mahi Mahi fillets prior to cooking. The best way to thaw the fillets is by letting them sit in the refrigerator overnight and slowly thaw. Mahi Mahi has a very mild flavor. It’s a white fish that has a moderately firm texture. It’s very similar to cod but a bit thicker, but not as thick as swordfish. Enjoy these summertime refreshments with your grilled honey lime Mahi Mahi!